Bristol Veterinary Hospital is a progressive animal clinic dedicated to providing high quality veterinary care plus extraordinary customer service. Bristol Veterinary Hospital has many patients who have been with us since we opened. We are honoured to provide quality care to all our patients, especially those in their geriatric years. 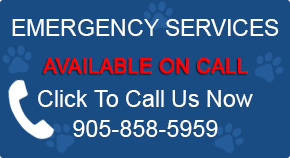 We look forward to contributing our passionate care to you and your pet!